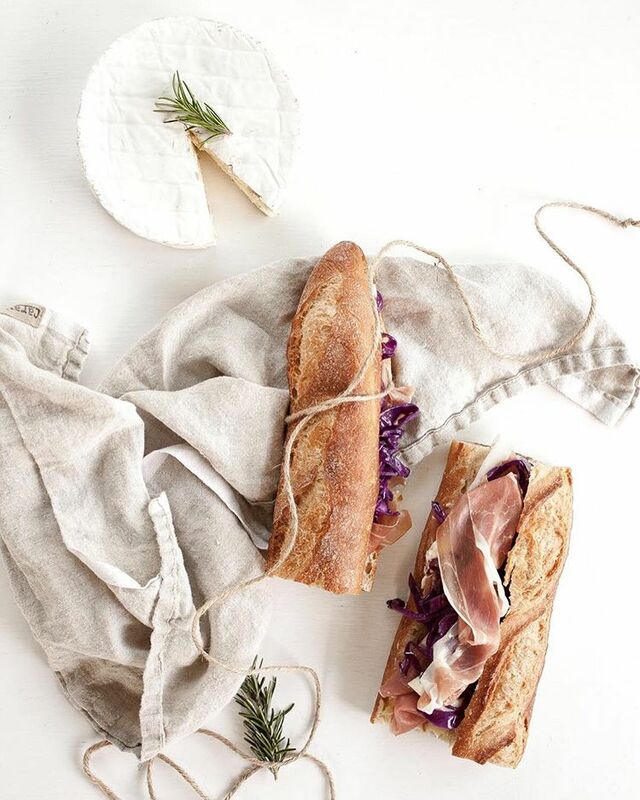 The Jambon Beurre—a classic French lunch treat that we couldn't get enough of while in Paris. 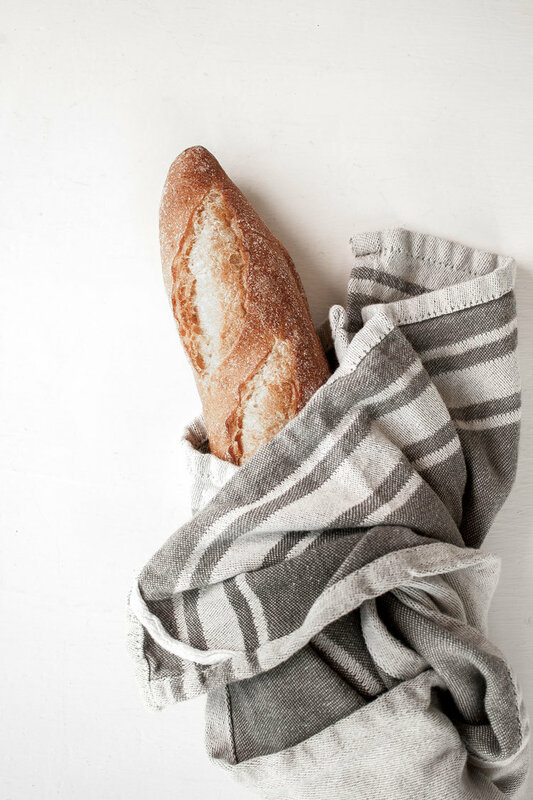 Fresh baguettes slathered with butter and filled with creamy cheeses and cured meats. You may be familiar with the more traditional version consisting purely of butter and thinly sliced French ham. The simplicity of this version is incredible. 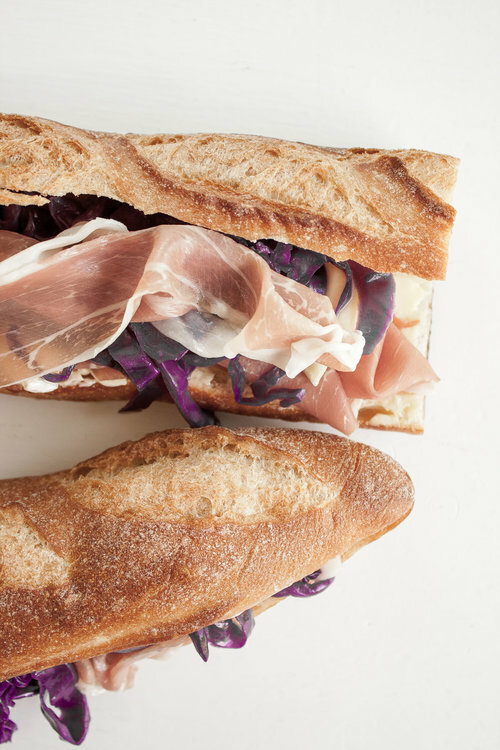 French butter and ham are of a higher quality and complexity than what we have in the States, so the rich flavors are enough to captivate the palate. It's been about 5 months since we were in Paris and I found myself missing it deeply. The sound of bustling men and women speaking quickly or softly in their beautiful language, the aroma of freshly baked pastries and large rounds of pungent aged cheese, the romantically detailed architecture, and the lovely relaxed pace of the local parks and gardens. I was so at home there. Deep in my nostalgia, I began imagining a version of the Jambon Beurre with the ingredients in my kitchen. A little taste of France in my homeland would have to do the trick for now. I grabbed a fresh baguette and began mixing and matching flavors and textures till I was satisfied with my end result. It was a tearful creation, continually reminding me of the beauty across the sea. Until we meet again. 1. Slice your baguette open and slather the insides with butter and mustard. 2. 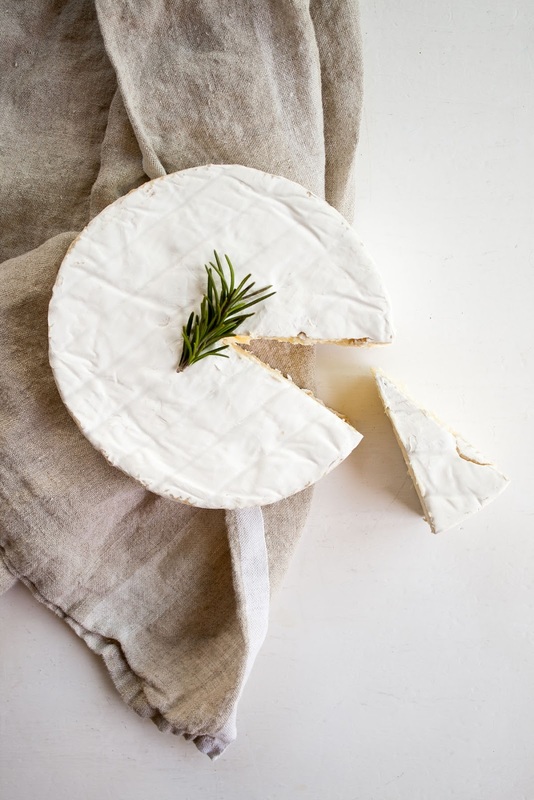 Cut your Brie from the round, removing the rind if you prefer. 3. Layer the soft cheese along the bottom layer, then top with one or two prosciutto slices. 4. Complete the creation by stuffing the remainder of the space with the warmed cabbage.